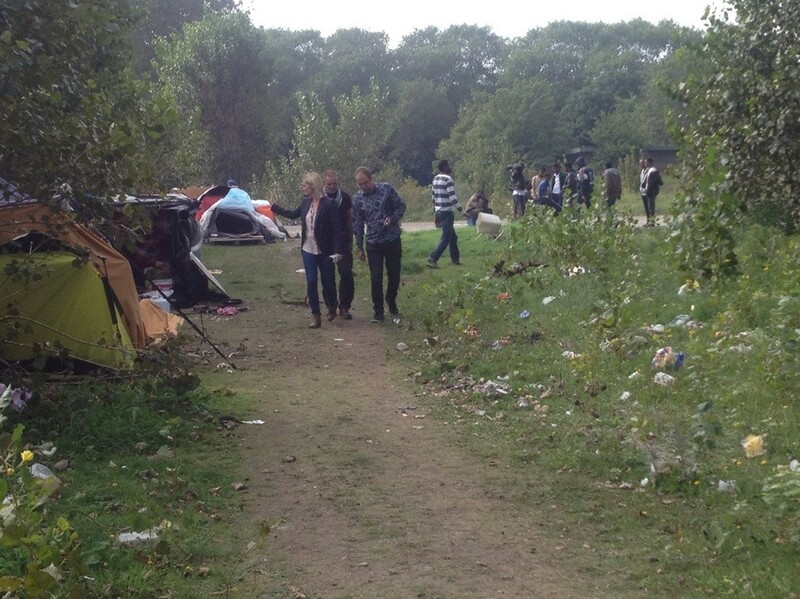 I am grateful to BBC Radio Kent for taking me to Calais to see at first hand the struggle to secure our border. 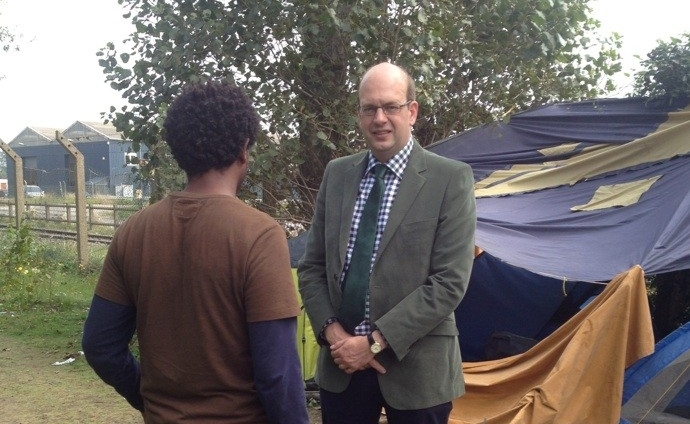 I was taken to meet some of the immigrants, mainly it seems from Africa, who are camped out in their thousands around Calais, in extremely basic conditions, trying to make their way to the UK. 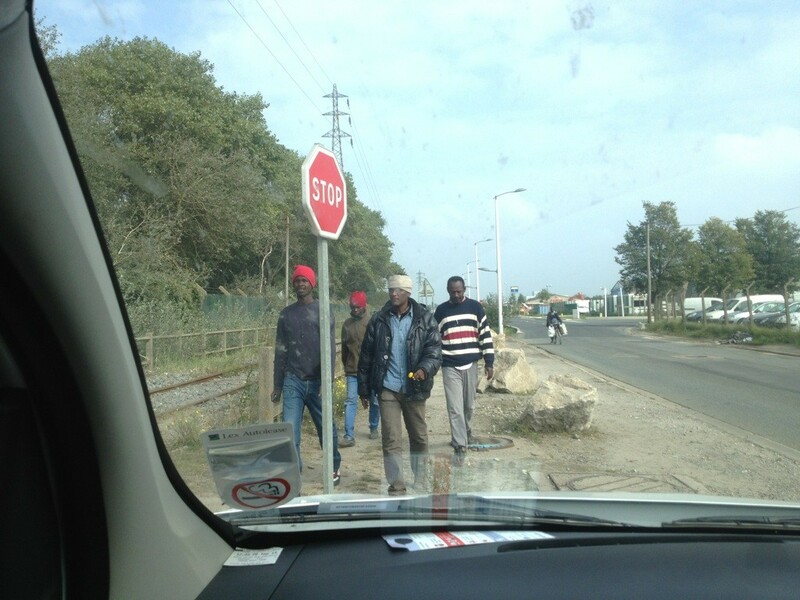 Many different factors push or pull illegal immigrants to attempt to cross from Calais to the UK, including for some the respective benefit regimes. However, the number one factor struck me as being the English language. Many of the migrants to one degree or another speak English, while few speak French, and without French they do not believe they will be able to get a job, or perhaps even basic benefits, in France. Peter from Ethiopia told me about his passage through Sudan and Libya before a perilous crossing by boat to the Italian island of Lampedusa. From there the Italian authorities took him to the city of Bologna and left him near the railway station, where he got a train to Paris and then Calais. Rather than just focus their ire on the UK because immigrants want to come here, the French should put real pressure on the Italians, since it is the Italians with whom they have chosen to share a common border area within Schengen. How can that be sustainable if the Italians just wave migrants through? This entry was posted in Immigration and tagged blog, Calais, conservatives, Home Office, Immigration, Kent, mark reckless, Medway, politics, rochester and strood. Bookmark the permalink. What the hell did I just read? So you went to see people who are gripping on to life trying their best to live and all you can do is shake your fist at the Italians?! What’s wrong with you? Did you not feel any sort of compassion for your fellow human beings or are your feelings totally reckless? Securing the borders have failed, let’s be humanitarian for once and let these people have a chance of living a decent life. It isn’t about compassion, it’s about common sense. Why are the Italians merely kicking the can along the road and passing the problem to someone else? These people should be dealt with WHEN they arrive in the EU. Let’s be humanitarian…..nonsense, we keep on doing it that way and we’ll run out of OTHER people’s money to be humanitarian with. Typical socialists, works brilliantly until you run out of other people’s money. I hope you will win Rochester! Never got a chance to say hello at the conference Mark, what a speech. Inspirational doesn’t cover it. I’ve been using that wonderful allegory of yours ‘I don’t my country to be just another star on someone else’s flag’ in every blog, meeting and statement I make. It took me 4 days after the conference to get it into the Mail and Express. For 4 days they blocked every attempt but allowed any other comment without pause. Eventually I misspelt it and put in extra spaces to fool their algorithms. Anyway, that’s the first unequivocal piece of censorship I’ve actually come across, the worst of it is the papers are owned by different folks so that means interference from on high. Best of luck for the election, you a brave and honourable man.